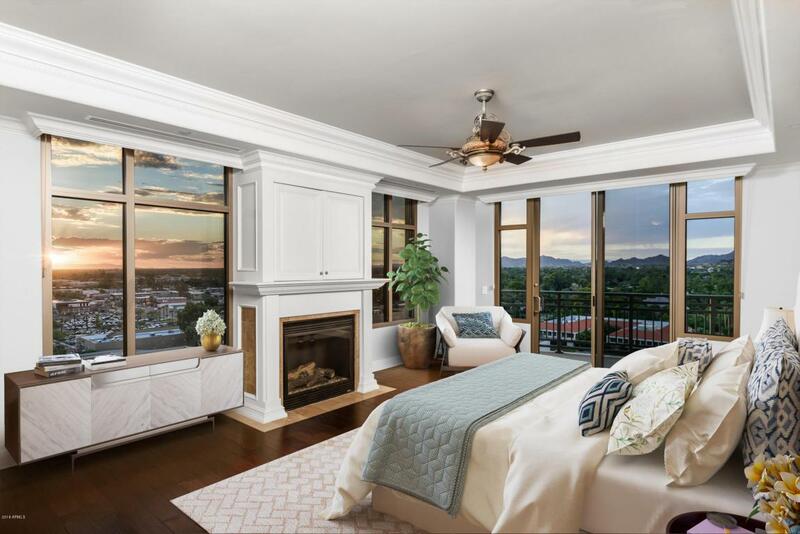 Exclusivity, luxury, and sophistication--those are apt descriptors for this eleventh floor, 2 ensuite bedrooms + den, 3,000 square foot residence available at 2211 E Camelback Road, in the heart of Phoenix's prestigious downtown Biltmore district. 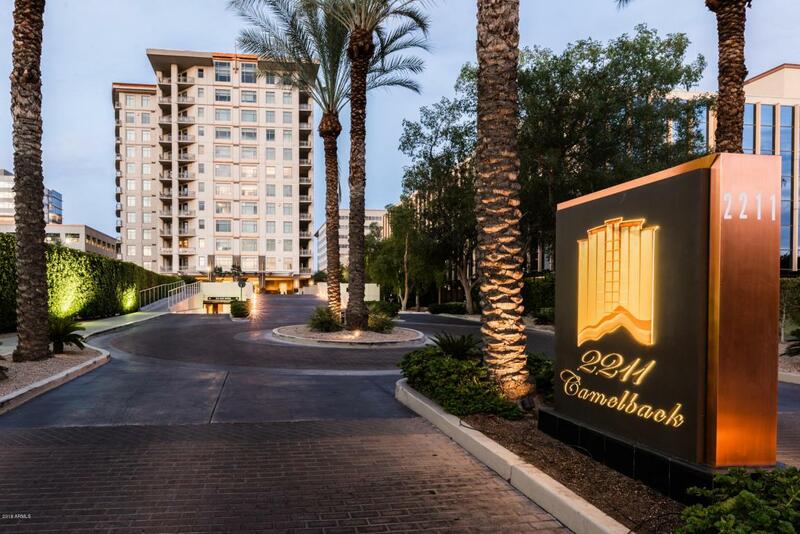 The Residence at 2211 boasts outstanding amenities including a professionally fully-staffed, 24-hour doorman, valet parking, concierge, security, building-management. Residents of 1101 are provided with three dedicated underground parking spots. 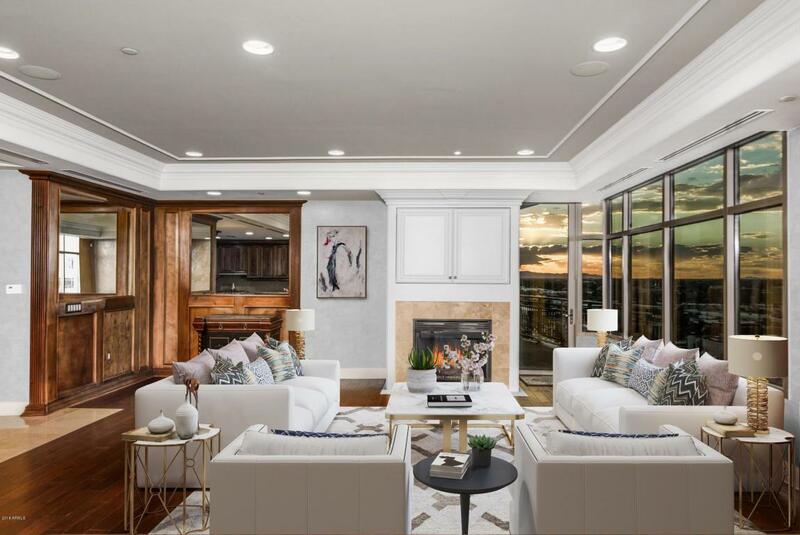 Partner those advantages with the swimming pool, gymnasium, sauna, and convenient dog park, and it becomes clear this is an opportunity for truly cosmopolitan living. 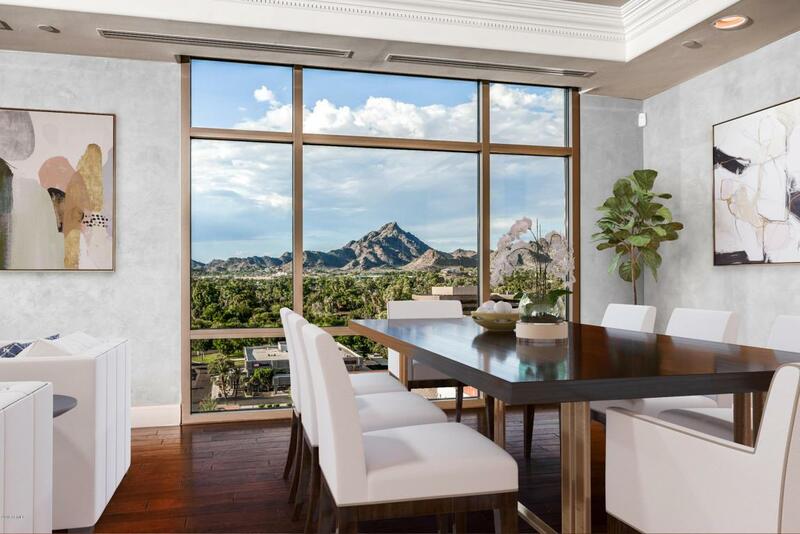 Inside the residence enjoy the definition of modern elegance with floor to ceiling windows offering sweeping views of the Phoenix skyline.